Seattle startup Dolly raised $8 million in a round led by Maveron to connect people who need to move with people who own trucks. 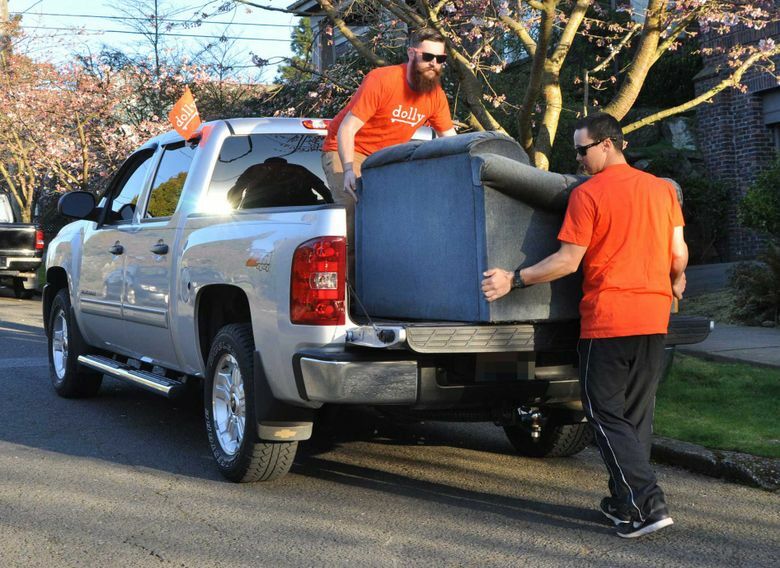 That guy you know who has a pickup has some relief coming — friends may stop asking him for help moving their stuff. A Seattle startup that connects people who are moving with people who own trucks raised $8 million and launched in Seattle on Thursday. Dolly, which kicked off in Chicago last October, has been testing in Seattle for several months and is ready to officially open for business in the Greater Seattle area. The startup, which is joining the increasingly popular “shared economy,” raised the Series A financing round from Maveron, with participation from Jeff Wilke, an Amazon executive; KGC Capital; and other angel investors. Dolly raised a $1.7 million seed round last year. Dolly was formed by Jason Norris, Kelby Hawn and Mike Howell, who also co-founded Wetpaint, and Chad Wittman after Wittman had a particularly disastrous moving experience. In moving from one Chicago suburb to another, he had to hold a mattress onto the top of his car while driving down a highway. Dolly works much like Uber or Lyft. Users enter details of what they need moved into an app or website and then schedule a time for pickup. The drivers, whom Dolly calls “helpers,” are mostly people with other jobs who happen to own trucks, vans or SUVs and want some extra cash, Howell said. Customers pay for the “truck and the muscle,” Howell said. Price is set upfront after the customer enters info about the move, and varies based on distance, stairs, number and weight of items and other factors. Dolly also offers trucks for new furniture purchases and hauling away old stuff. The startup competes with a growing number of services, including a branch of Uber that hasn’t launched in the U.S. and fellow Seattle startup Ghostruck. Ghostruck and Dolly have one key difference: Dolly mainly partners customers with individuals who own trucks, while Ghostruck connects customers with licensed movers. Dolly tries to maintain security by putting every prospective driver through a seven-step process that involves checking auto-insurance and driving records and providing in-person training. It also has a $2 million liability insurance policy. Moving jobs can be scheduled on Dolly as far in advance as the customer wants, and most take place within a couple of weeks, Howell said. The record so far is a job scheduled four months out. Dolly has already moved more than 30,000 items this year, mainly in Chicago, where it has more than 100 drivers. Seattle has only 20 drivers for now, though Howell expects that number to grow to 100 in the next couple of months. The company, originally based in Chicago, moved its headquarters to Seattle, Howell’s home base, before it officially launched. Dolly has 10 employees and plans to quadruple to 40 in the next year. It wants to expand its coverage area even faster. It hopes to be in 20 cities by the end of 2016.